Not all training issues can be dealt with in a group class setting. For some dogs, the presence of other dogs and/or people can be too overwhelming or stressful. For others, training plans need to be more specifically tailored because of the individual needs of the dog and/or owner. Who should book in for private training? We normally start with an initial consultation lasting hour and a half. In this consultation we go through a full behavioural history and assessment to determine where your dog is currently at and what you would like to achieve regarding your dog’s behaviour. We then put together a behavioural plan and begin training! Homework (we prefer to call it “homeplay”!) exercises are set for you to practice between sessions. As part of the initial assessment and behavioural plan, we discuss the number of sessions you may require. This will depend greatly on the number of things you would like to work on, the severity of the behaviour requiring change and the amount of time between sessions that you are able to practice! Subsequent sessions are generally 1 hour in length. The beauty of private consultations is that they can be held anywhere and at a time convenient for you! They can be at your home, at the beach, in a park or anywhere else you dog’s behaviour is occurring. The initial 1½ hour consultation costs $195. Subsequent sessions (1 hour in length) are $135. In some instances, only a half hour consult may be necessary, and these cost $75. All prices include GST. Additional travel costs may be incurred depending on the location (please click here for travel charges). Please note, we now offer Package Deals (3 or more) for the 1 hour sessions. Please contact us to discuss. Payment is required at the end of the consultation. Payment can be made by cash, cheque or Eftpos. Should the whole family be there? Yes if possible, but this is not always feasible. 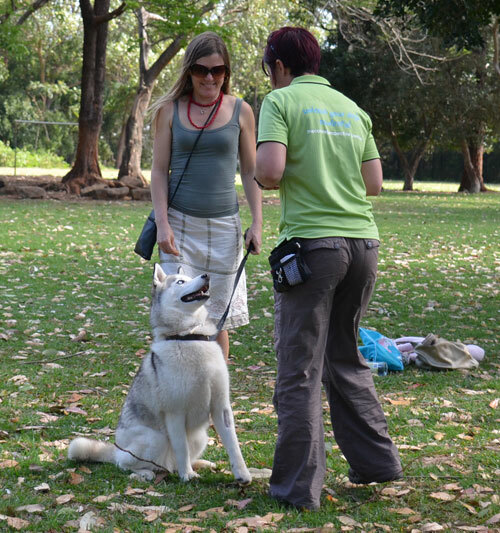 Families will often view the dog’s behaviour in a different light, so it is important to get everyone’s input. 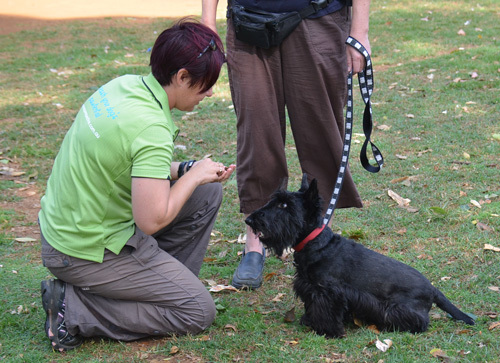 As consistency is the main ingredient to modifying your dog’s behaviour, if the whole family are unable to attend, it is important that those who do attend go home and teach the others what is required. What do I bring to a consultation? Your dog on a collar/harness/head halter and a lead, and some fresh water for your dog (and for yourself). We provide the rest! How do I book a private consultation? or phone Sarah on 0405 535 336 to book your initial consultation today!